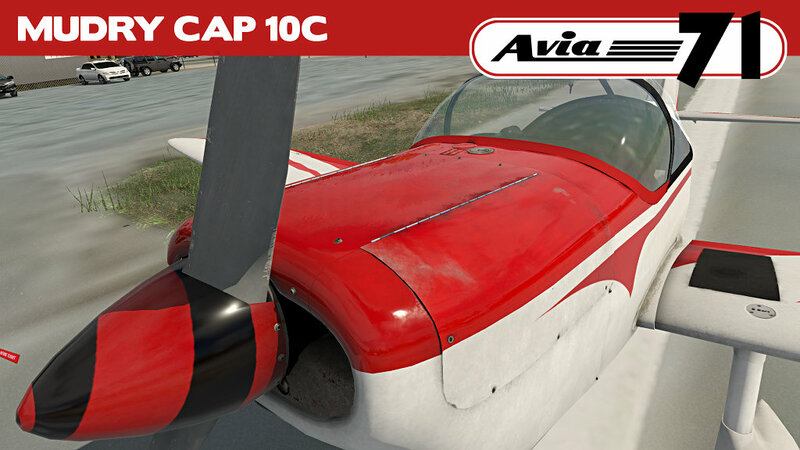 The Mudry CAP 10C is the ultimate evolution of the famous two seats aerobatics airplane for both competition and training. 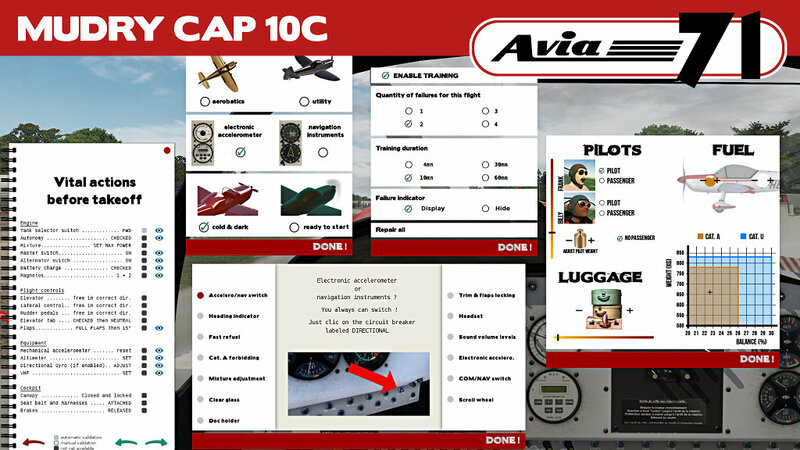 It is certificated for Aerobatics and Utility categories. Most west european aero clubs use it for aerobatics instruction and sports competitions. Army used to fly it for fighter pilots training. This project can be summarized in two words: high fidelity! 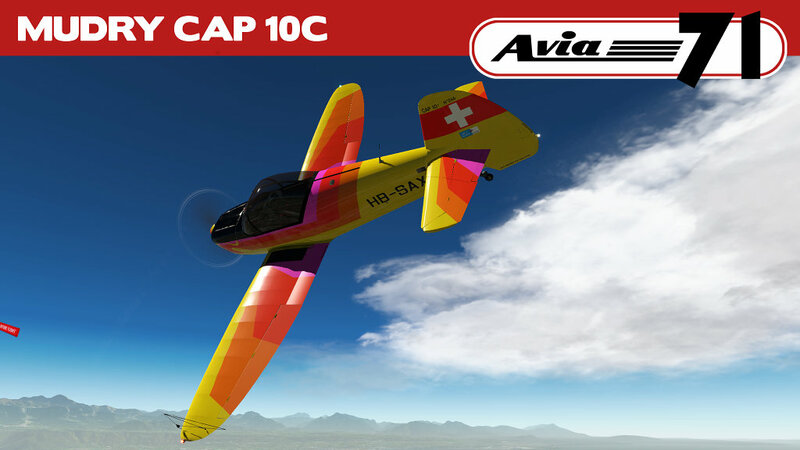 The flight model has been step by step controlled by our first test pilot, Thomas, a French aerobatics champion who flies the CAP 10C - F-GNCV - in competitions. As an enthusiast partner, he has managed the project from birth to publication and written, just for us, aerobatics lessons - attached documentation. Each piece of the flight model has been studied to reach the most accurate flights we ever experienced on sim. For the most difficult parts, we were lucky to get help from Josh, a physicist, a passionate about aeronautics and occasionally a CAP 10C pilot - G-CPXC -. 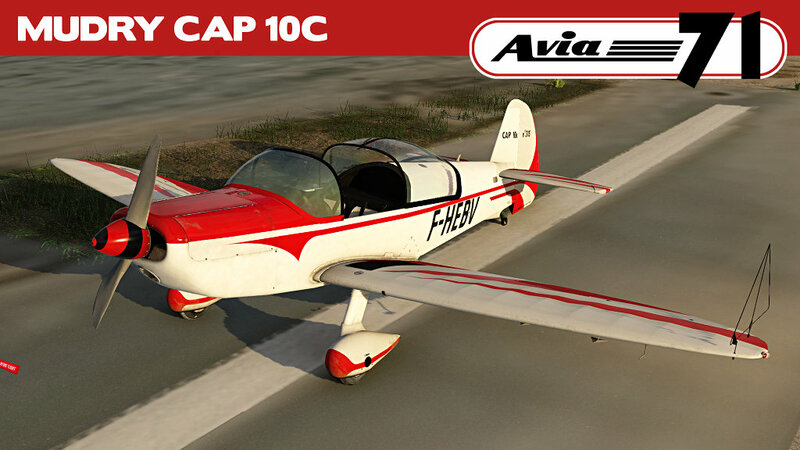 The model is a numeric copy of the F-HEBV, owned by the aero club of Bernay - the Avia71's home and the Mudry's historical place. We had a lot of fun flying it IRL every time we needed to adjust a detail of our work. Big ups to all our friends of the club. Of course we spent a lot of attention to design. Physical Based Rendering, FMOD sounds, 4K texturing, complex animations, nothing is ever enough for the beauty bird. We guess you got it: passion was the 180hp engine of this project! 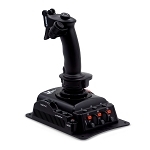 Be aware that this product is NOT designed for arcade simmers. 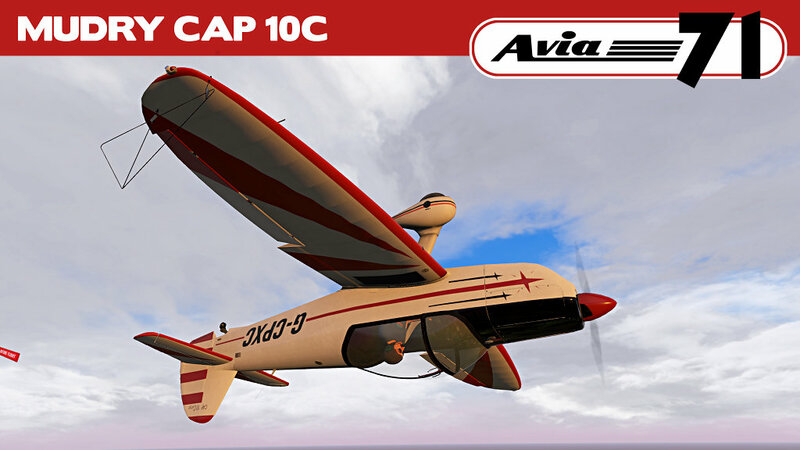 Unlike other aerobatics aircrafts available for simulators, this plane will not forgive you unrealistic flights. 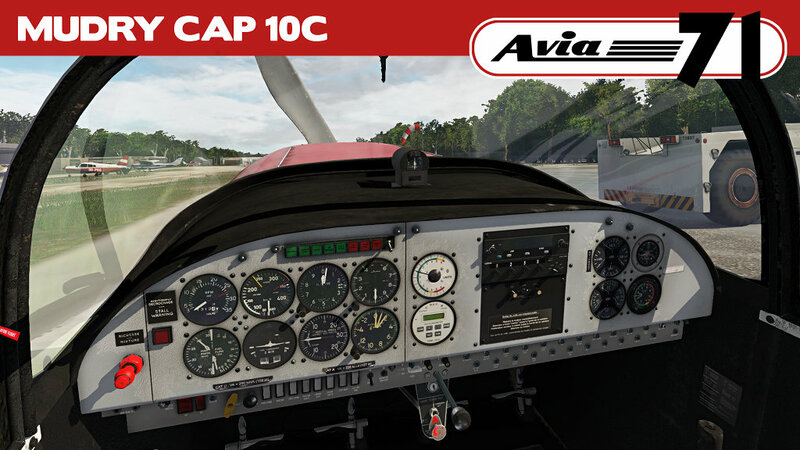 In the other hand it is great material for real aerobatics discovery or trainning, and to enhance your skills whether you are a beginner or a confirmed pilot. 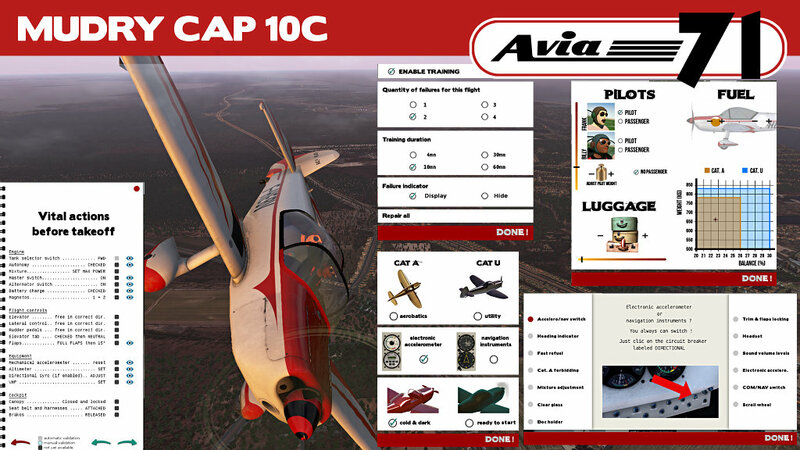 And don't forget that the CAP 10C is used to travel too. She is a docile horse as long as you do not tease her. As usual, future updates will be free of charge for customers.